To make your trip work, you will need to be well prepared. You could go into a Jedi Resource Trance, but try these resources as well. They’ll be useful, trust me. Check out the place where we stayed at the bottom of this page as well. There are tons of books on Italy in general and Lombaria and the Lake Como in particular, so I’ll limit myself here to Star Wars sourcebooks to help you get a general image of the imaginary planet of Naboo. The novelization of the movie, by R.A. Salvatore, published by Del Rey Books. An excellent book to take on this trip. What else are you going to read during that boring flight? 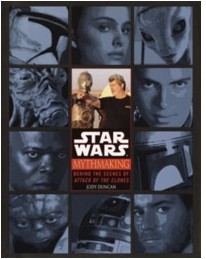 Published by Del Rey Books, written by Jody Duncan, pages 80 through 93. It would appear, however, that the author didn’t actually visit the Lake Como area for there are several mistakes in the photo captions. Pity. For the kids. Published by DK Books and Lucas Books. Nice images on pages 32 and 33. 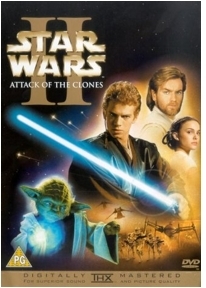 The first DVD contains the movie. Be sure to check out chapters 19, 21, 25 and 49. The second, bonus DVD, contains 2 deleted scenes you'll need to watch and a featurette about the love story, showing quite a bit of the Lago di Como locations. You will also want to check out the photo gallery! Released by 20th Century Fox in 2002. 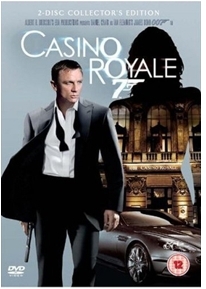 The DVD with the James Bond re-make. You will be especially interested in the chapter 23 as well as the grand finale in chapter 28. Released by Metro-Goldwyn-Mayer in 2006. Apartement to rent: the perfect starting point for your expedition. While we enjoyed our stay in the Lake Como area, we found lodgings in Griante. The apartment we rented was Azalea House, owned by the friendly Mr Francesco Pini. The apartment has everything you need (kitchen w/ appliances, two bedrooms, two bathrooms, a living with satellite TV, an internet-enabled computer and much more...) and is ideally situated. The residence was very clean and comfortable and I would recommend it to you all! You can find the Azalea House website here. Book online or get in touch with the owner via uracangeorge@tin.it.